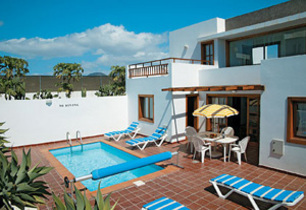 In Puerto del Carmen, Lanzarote, we have been providing accommodation for visitors to the island for more than 20 years. From one bedroom apartments in the beachfront complex Club Pocillos, to luxury villas sleeping up to 10 people, we can cater for most requirements. Most villas have their own private pool. 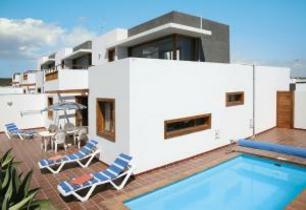 In addition to your accommodation, we also have 24 hour maintenance and a representative on the island. 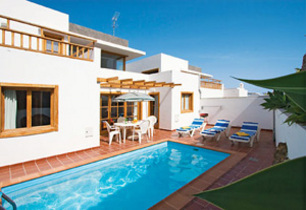 Arrangements can be made for car hire and excursions. 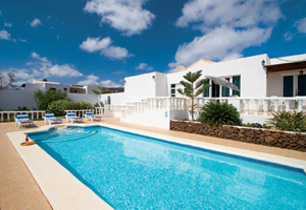 Complex Club Pocillos: Situated next to the beach in Puerto del Carmen, fully equipped and refurbished 1 bedroom apartments.